It seems there are a variety of opinions as to how soon to ride or work a young horse. Why? The biggest thing to keep in mind is that each horse in an individual. If you watch Stacy’s Video Diary: Jac, I started him when he was a two year old. He was a Quarter Horse…but that doesn’t mean that all Quarter Horses could be started at that age. The bone development, family history, bloodlines, and the amount of work that will be required all play a part in making the decision. “Hi Stacy! 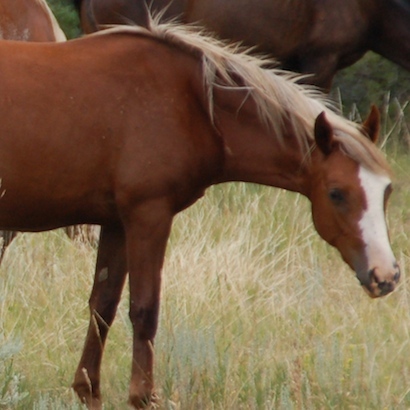 I have a question that has been subject to many arguments between my mom and I. I have a 2.5 yr old QH filly that I recently started under saddle. She had all ground work done when I started her and she is a very mellow minded girl. My mom believes 2 is too early to start them and is concerned about her joints and I was wondering about your opinion on the best age to start a horse since I have never started a horse or raised a young horse? At the moment I am just doing light trail rides, no longer than 15 minutes on flat ground, with her twice a week. And note that she is around 14.3hh and is a brick house, weighing close to 1000#s. 🙂 Thank you so much in advance for an advice you can give.” H. H.
The answer to this question is found in the blog: What is the best age to start a horse? The answer to this question is found in the blog: What age do you start training? ← "Remind yourself its ok not to be perfect." Hey Stacy, I wanted to ask another question, but wasn’t sure where to post it, so I guess I’ll just ask here. I have a young horse that I have just moved to a new barn. Soon they will open the pasture up and she will have access to about 18 acres to graze. Since this is the most space she’s ever been in, and the most land that I’ve ever boarded a horse on, I though I had better teach her to come when I call so that I don’t have to go track her down across all that land. I decided to make whistling be my cue for “come here” and a peppermint for the reward. Right now she’s in a smaller area with 5 other horses. We’ve been here about 2 weeks and I started right away with whistling and rewarding with a peppermint or two. So far she’s been really good about it, coming when I call for her about 98% of the time. However, sometimes she only starts coming in because the other horses like to come over when I whistle. (I DON’T feed them treats by the way, not sure why they’ve all started coming when I whistle). At these times she seems disinterested in coming to the gate (would rather eat grass), and only comes because the other horses have run over. What are you suggestions for training a horse to come when you call? Should I make a negative consequence if she doesn’t come when I call? Like going and getting her and making her do tight circles or something? Kailey, I think you are on the right track. The issue with going and getting her and then making her do tight circles is that you would, in her opinion, seem to be punishing her after catching her. Use the same idea but go in a round pen or a smallish area where you can give her your cue and then work her if she doesn’t respond in a snappy way. Other ideas are to catch her to feed her and then turn out again, etc. giving her other ‘reasons’ that you catch her other then work. Thanks Stacy! I didn’t think about connecting the punishment with being caught. I will continue to work on this! Hopefully I can get her consistent when she’s out on the big pasture! I started my young gelding when he was 25 months old. He’s a chunky guy with straight legs, had been carefully raised and well fed all his life, and weighed around 900lb at the time. I’m not even 100lb and balanced so he could take my weight just fine. According to Monty Roberts in “The Man Who Listens to Horses,” his trainer friend Greg Ward would have his colts ridden 20 times before asking them to do anything. That is, the rider just sat there and the horse was allowed to move around anywhere at will. Unfortunately I learned this AFTER I fell off a young Arab I was trying to start and broke my collar bone. At a walk and trot he was fine; when I asked him to go he went like Rocket Man – completely out of control and frightened. That was a painful lesson. #3…multiple times. 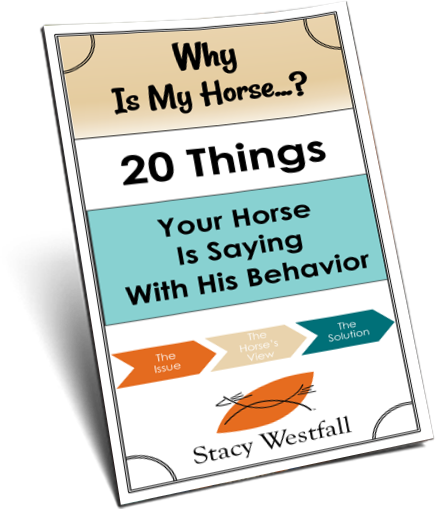 I always strive to make the first rides pleasant and VERY positive for the horse/pony involved and the humans too! I like starting in the fall of their 2YO year, very light. 3YO gets lots of light trail miles, roads and ring work, by 4 years I’m expecting some real work ethic. All of this is depending on the individual animal……and just how crappy a winter we get here in the northeast ( no indoor in my future either). 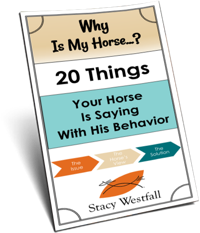 you have to go with how your horses mind handles all the new questions you are giving it and how their conformation effects how much they can handle, how early. 3, Best partner I have ever had, she is now 22 and still going strong. The American Saddlebred filly that I bought when she was two was broken to the buggy but not the saddle. I gentled her into being ridden for the first time,and she was a wonderful horse for the five years we were partners. Another horse I trained for a friend was also a two-year-old already broken to the saddle. She was of a feisty temperament and and would rear with people on her. It took me a while to calm her down to where she stopped doing that. I think she should have been given another year before before they started riding her.As you say, it all depends on the individual horse. My QH gelding was started by a trainer for 30 days at age 2 while under the ownership of someone else, and learned (incorrectly!) about walking, trotting, and bending/flexing. He then sat for a year, and I bought him as a 3 year old. He was not mentally or physically ready at 2, but as a 3 year old I felt safe restarting him. We kept it slow, and his early knowledge of the basics, in addition to his very docile personality, helped him to learn quickly – he was doing everything I could want and more at 4. He was a late bloomer physically, not really bulking up until he was 5 or 6, but I think he was totally fine starting before that, as long as he wasn’t small enough that I’d hurt him or mentally immature. He’s almost 7 now and is a wonderful, well-rounded, solid-minded horse. I started one other at 3 with good results. Started another at 8 (not by my choice!) and that is WAY too long to wait. They learn too much on their own that way. Basic foundation at 2 without much physical work and really starting to learn at 3 would be my way of choice. Used to do that for a living. Started the Thoroughbreds at 2…got out of the business when I got tired of seeing three year olds that were totally broken down:( Still get on mine at 2-which means just that. I sit on them, and walk them around once in a while. They don’t do much until late 3 or 4 years old. They’ve been staying sound up into their teens and twenties (my oldest at the moment is 24, and still showing), so it seems to work without damaging them. 3. I’ve trained 2 myself. Both were home bred and raised. I did lots of groundwork. I waited until full 3 yo, and the second was still not mentally ready at 3. It was fun and very successful in both cases, at least in my opinion. As with most horse questions I say it depends. Depends on the breed of horse; some horses bones/joins mature later than others. Depends on how heavy you are, how much riding time, the difficulty of the riding time. I thinking starting at two is ok generally … but the horse probably isn’ ready for prime time till 4 years old Again it depends your horse and it’s breed. I’ve been the first to ride on many horses. Wasn’t planned that way but when I first started learning to train horses I was the smallest and lightest person….so up I went! I have a 3 year old Andalusian-Dutch warmblood cross. I am finding there are such differences of opinion on this topic. My vet told me I could start riding him at 2 while some trainers and several vets say a long-necked breed of horse (e.g. warmbloods, standardbreds, etc) horse is skeletally immature until even 7. In my opinion it doesn’t hurt to wait till they are 4 for the health of the horse; however, if your’re someone who makes a living training or buying and selling horses than time is money and many people are inclined to start them much younger. I’m, planning to keep my boy till the very end so I want what is best for him and will be playing it safe. Horses are not robots neither are they made as such ,a one size fits all mentality for anything in horse training is a serious mistake to make.there are things all horses are expected to learn but how u get them there depends on the individual . A horse is a horse of course,but they all are just a tad different. That’s my opinion based on my experience with horses. Ive never started a young horse. I’d love to do the ground work, but with my build and weight, i’m afraid i would be to much for a young 2 yr old. IMO as far as the actual “first mounting” i feel that should take place when the joints are solid and can handle the added weight of the tack and rider without causing any complications to the horse. In general I feel: #1-No, colt starting should be left to the pros. However, I’ve known pros to start young ones before their 2nd birthday, having them fully trained at W/T/L before their birthday. I would not hesitate to lightly start a horse at 2 (if growth and confirmation suggests it’s ok) but I would not start one that wasn’t 2 yet. I know there are futurity people who start them earlier, but I’d rather wait a few months and maybe miss out on an early futurity and have a horse that is sound for life. 1, Never been the first on a horse and have no desire because I don’t have the athletic ability.